MLS#: 8586771 - Courtesy of Re/Max 100 Inc.
Beautiful custom home on half acre lot in sought after Belmar Gardens. This extra large 2 story w/ 5 beds, 5 baths is bright with tons of natural light, features amazing custom details throughout and high end finishes. An open floor plan w/ soaring 2 story ceilings in welcoming great room and an impeccable fireplace. Gourmet kitchen w/ granite countertops, large island, eating space, butlerâs pantry and hardwoods. An ample dining room off the kitchen is great for entertaining. Main floor features a study/bonus room and a grand master bedroom with an attached five piece bath. There are 4 bedrooms on 2nd floor & an additional master bedroom. Unfinished walkout basement w/ high 9â ceilings is bright&spacious. Beautiful secluded backyard with tiered covered decks, tons of mature trees and backs to creek. 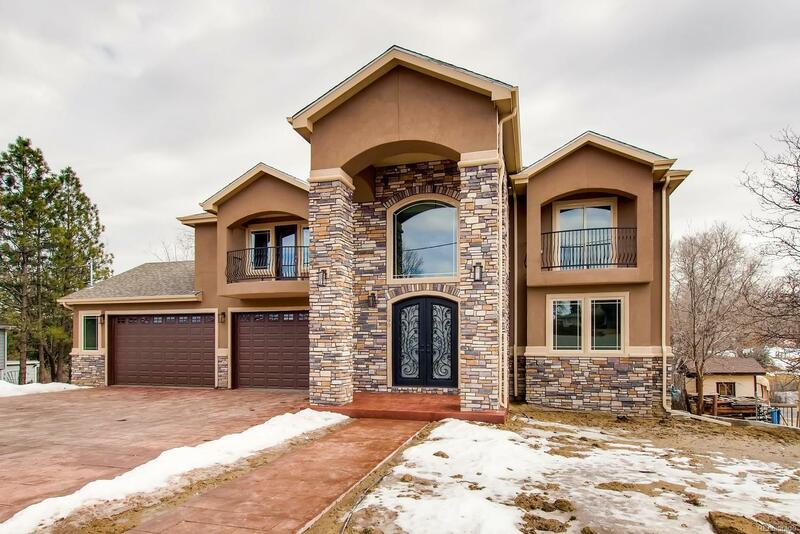 Enjoy the over-sized 4 car garage and appealing stamped front concrete. Located a short walk to BelMar park&short drive to BelMar Shopping District. 2-10 Home warranty.